Sample provided by Marcus from Germany. Many Thanks! Nose: Full and Mature with a lovely combination of Buttered Toast and Pine- Apple Marmalade, Papaya Cream, Peach, Melon, Vanilla Ice, Milk Chocolate, Honey, Malt and Bourbon. The Oak is there of course but it isn't dominant. It enhances the other Flavours. I also find some Raisins, Orange Peel, Toffee, light Acetone, Flowery tones and Hazelnuts. The Alcohol is nicely integrated and the ABV is Spot-On. Close to Perfection! Taste: The Oak is much stronger now and so are Ginger and Spices like Pepper, Cinnamon and Nutmeg. It's almost like a Spicy Rum Bowl with Tropical Fruits. I also find Salted Lemons, Vanilla, Bourbon and Malt. It's nice but not nearly as spectacular as the Nose promised. 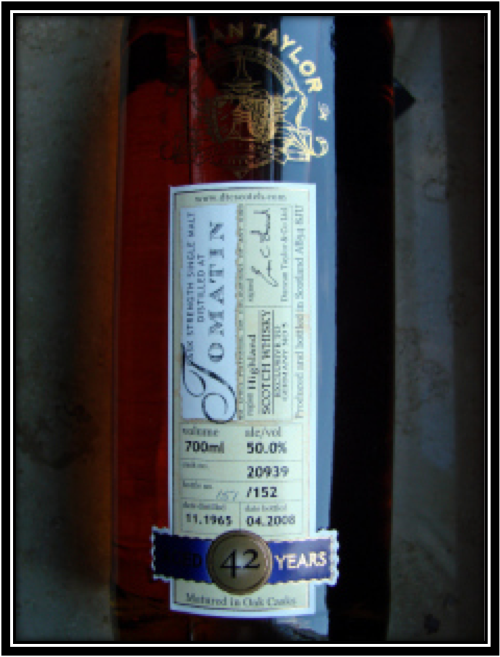 On the Palate, 42 years in a Cask is indeed a long long time! Finish: Long! Rum Soaked Tropical Fruit Cake, Pepper, Nutmeg, Vanilla, Oak and Sugared Ginger. Quite Dry towards the end. I would not add Water to this Tomatin as the ABV is perfect for this Spirit. This is the actual bottle # 151. Thanks Marcus! General Remarks: The Tomatin Distillery was founded in 1897 and is located close to the A9 Motorway, halfway between Aviemore and Inverness. Over the years it grew very fast and today it has one the largest production capacities in the industry, although the distillery is currently not producing at full capacity. It is owned by the Japanese Takara Shuzo and Okura Group. A large part of the production (80%) goes into blends like Antiquary and Talisman. 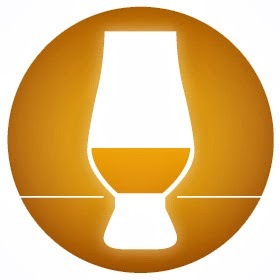 Lately the distillery is making an effort to promote its Single Malts. 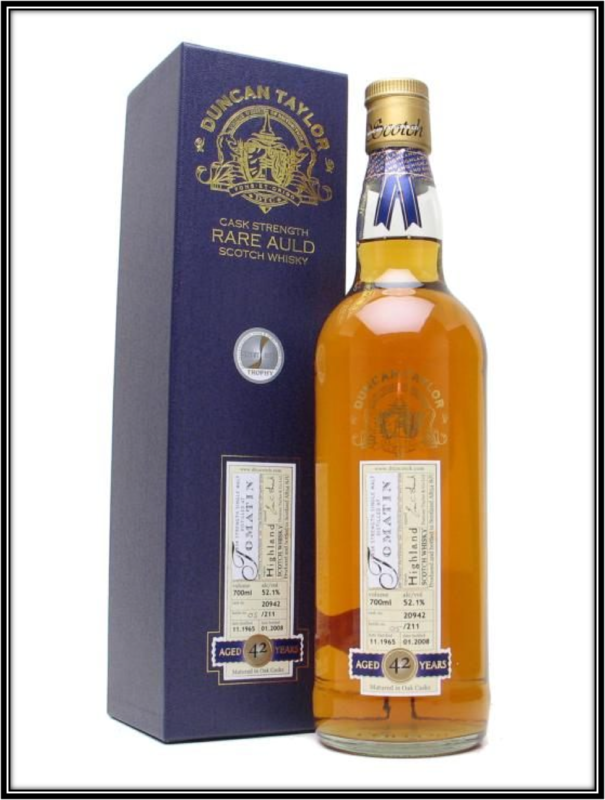 It's really a special occasion as today's dram was distilled in November 1965. I was 13 years of age back then! 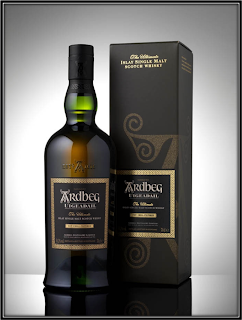 It matured for 42 long years in an Ex-Bourbon Cask with # 20939 until it was finally bottled around Cask Strength in April 2008 by Duncan Taylor. This Tomatin is not Chill-Filtered and no colouring substances were added. It is still for sale in some places but it's quite expensive of course with prices that vary between 350 and 500 US Dollars. Duncan Taylor of Huntly near Speyside are Whisky Merchants with a history that goes back to around 1860. The company selects and matures Casks from all over Scotland and currently owns probably the world's largest private collection of vintage Scotch Whisky. Drinking Experience Neat: Very Good. The Nose is nearly Perfect! Conclusion: What a great Nosing experience! I thoroughly enjoyed nosing this Tomatin for more than an hour. This must come close to perfection for this type of (Highland) Whisky. The Nose is a wonderful mixture of Tropical Fruit, Vanilla Ice and Milk Chocolate. 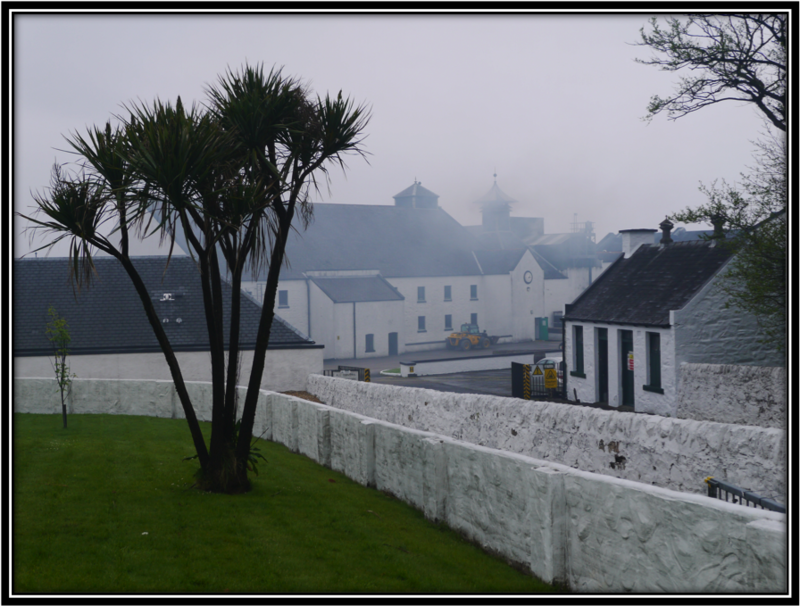 Sometimes my mind wandered through the Highlands, sometimes it felt I would encounter a Bourbon Distillery just around the corner. This is the best Nose I've encountered so far. The Fruit smells so Fresh it's hard to believe this Spirit was distilled in 1965. As so often the Palate and Finish can't live up to expectations. After this spectacular Nose I would have expected them to be great but they are merely good. The Oak and Spices do take over now and the Fruit starts playing second fiddle. The Long Finish follows the Nose. This is by all accounts a great Single Malt but I can't help wondering how the Palate would have been if Duncan Taylor would have bottled this Spirit 15 years earlier. Well, we will never know will we! In any case I have tasted a bit of History tonight. Thanks once again for the sample Marcus! PS: In 1976 the Four Seasons had a big hit all over the world with the song "December 1963 (Oh What a Night)". It was this song that provoked today's Headline!